Hot off the press—your handy guide to all the literary happenings in the UK, Spain, Argentina, and Peru! We’re in the second half of the year and summer—or winter, depending on where you are located—is full of literary activities. 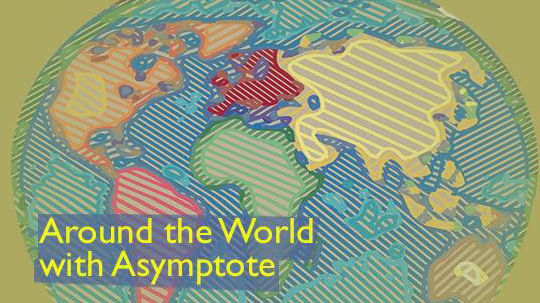 From the announcement of the Man Booker Prize longlist and the release of a new book by a beloved Spanish poet to Argentinian bookselling events, Asymptote editors are telling it all! Two days ago, the Man Booker Prize longlist was released, comprising a list of literary heavyweights and two debut novelists. The most hyped title, perhaps—and the most expected one—is The Ministry of Utmost Happiness, Arundhati Roy’s first work of fiction in two decades. Chosen from 144 submissions, the longlist has 13 titles, often referred to as the “Man Booker Dozen.” Other authors on the longlist include Zadie Smith, Mohsin Hamid, Ali Smith and Colson Whitehead. On Monday, July 17, the London Book Fair (LBF) recorded a webcast on “Creativity, Crafts and Careers in Literary Translation.” Three panelists—translator Frank Wynne, agent Rebecca Carter and consultant and editor Bill Swainson—joined acclaimed journalist, Rosie Goldsmith to speak on the opportunities and challenges in getting world literature translated. The webcast followed from a successful programme at LBF’s Literary Translation Centre last spring, and was funded by Arts Council England.